Affordable, customized solutions for your small business. Are you an individual or a small business in need of a website, or updating an existing site? Well you are in the right place! We specialize in providing internet services to small business at an affordable price. We provide website design, custom website functionality, redesign, e-commerce solutions, search engine optimization, content management and much more. We build long-standing relationships with our clients. Our business is established, we have several clients who have been with us for over ten years. Satisfaction breeds loyalty. Let us help you reach your business goals! 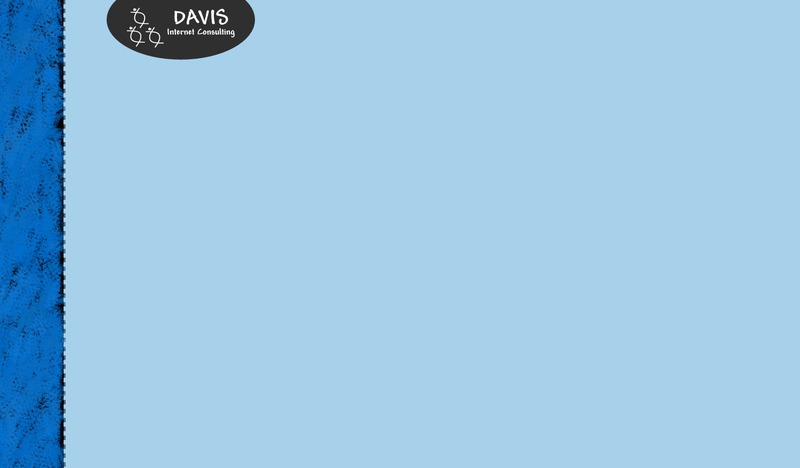 Davis Internet Consulting was founded in 1999 by Penny Davis, after working in the corporate world for several years and looking for an opportunity to work more closely with customers who appreciate the end product. We build affordable, customized solutions for your small business. "I like working with people who are in touch with all aspects of their business. The opportunity to have a quality interaction with my customer is critical, they are completely invested in the project, and are appreciative of the work. I get to build a great rapport with them and that is very rewarding to me." Penny holds a Bachelor of Science degree in Information and Decision Systems from Carnegie Mellon University. When not in front of a computer, Penny is an established basketball referee who officiates in the WNBA and numerous Division I women's basketball conferences.